When your child is going to be outside and near the pool, there are many things that fall under the umbrella of toddler pool safety and child pool safety. Sunscreen is right at the top of the list. You want to make sure you are choosing the right sunscreen to keep your child’s skin protected from the sun’s harmful rays. Here are some tips on things you’ll want to avoid when it comes to choosing sunscreen for children. Stay away from the spray sunscreen. Although this may be easier than rubbing sunscreen onto a wiggly child, it’s hard to know if you’re really getting all the spots. You also can’t be sure the sunscreen is actually hitting the skin. Don’t be fooled by extreme SPF levels. SPF 30 is generally recommended because sunscreens that have a higher SPF don’t significantly increase protection from the sun. Avoid sunscreens with PABA. PABA can cause skin allergies for some children so it’s best to just avoid them altogether when keeping child pool safety in mind. Avoid sunscreens that are not water-resistant. Whether you’re planning for your child to go in the pool or not, you need a sunscreen that is water resistant. It’s the safest way to go, because let’s face it; they’re going to want to go into the water eventually so you might as well keep them protected! They’re also going to sweat, so water-resistant is the best way to go. 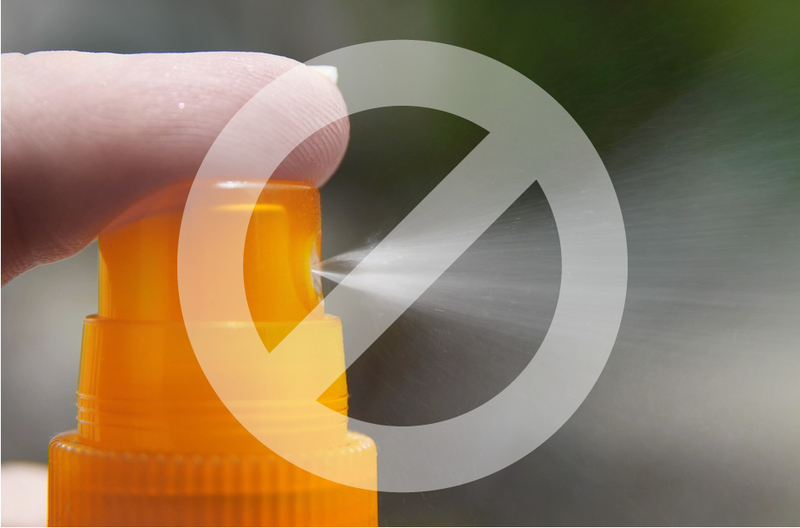 Avoid sunscreens that don’t protect against both UVA and UVB rays. You want to choose a broad spectrum sunscreen that will protect your child from both types of the sun’s rays. When it comes to child pool safety, you also want to make sure the area around your pool is safe. Adding a pool fence is one of the best ways to do that to prevent drownings and other accidents. For information on pool fences, contact Protect-A-Child Pool Fence at 1-800-992-2206.